Papal Artifacts / News / December 17, 1936: Feliz Cumpleanos, Nuestro Santo Padre Francisco! Viva Papa! December 17, 1936: Feliz Cumpleanos, Nuestro Santo Padre Francisco! Viva Papa! Papal Artifacts joins our Church in wishing our Holy Father, Francis, a very happy 82nd birthday. We are grateful for the gift of his life to our Church. 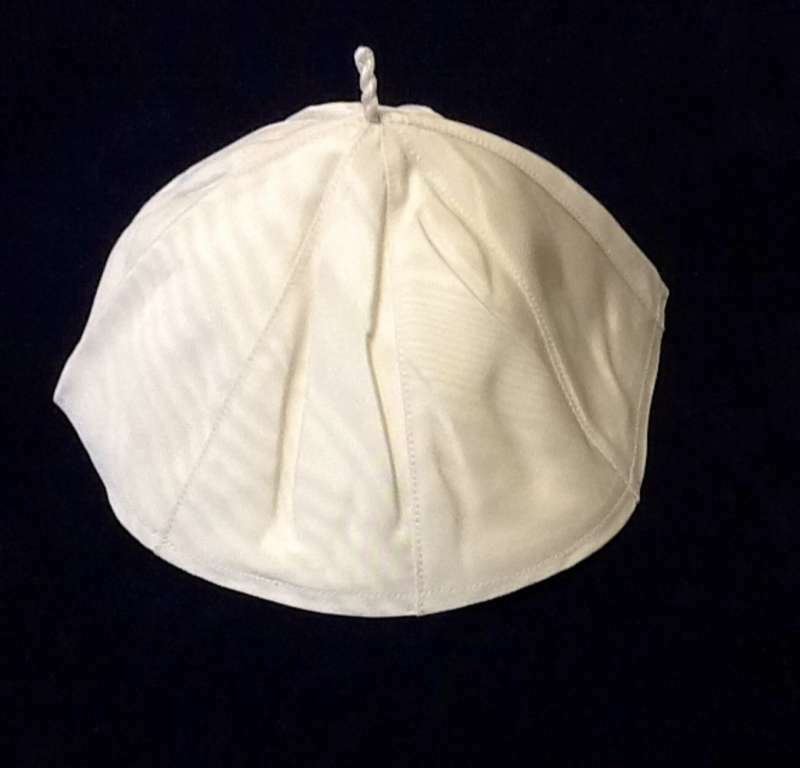 Father Kunst was able to acquire this zucchetto, worn by Pope Francis, from a museum in Padua. The Collection has a zucchetto from every pope from as far back as Pius IX who reigned from 1846 – 1878. Items belonging to or associated with Pope Francis are on Papal Artifacts/Francis. His biography and related information are on Papal History/Francis.